Edenred Italy has been awarded Best Workplace 2018 by Great Place to Work® Italy for the medium-sized companies category. The company is among the 30 Italian ones belonging to this section and awarded for the quality of the human resources processes and for the company management policies aimed at improving the organizational wellbeing. 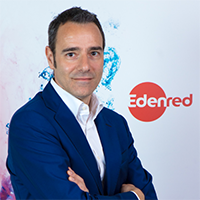 "The recognition of Best Workplace 2018 " - says Michele Riccardi HR Manager of Edenred Italy - " is the crowning of a path built over time, aimed at developing our human resources and enhancing the relationship of trust between management and teams. In recent years we have created projects that can transform workers into entrepreneurs, entrusting them with the development of digital solutions and, on the other, attracting young talents who have undertaken growth paths in the Group's main branches. Our dream is to transform our customers into "best place to work" companies through corporate welfare solutions and employee benefits, tools that improve the quality of working life, the productivity of individuals and the organizational well-being of companies ".